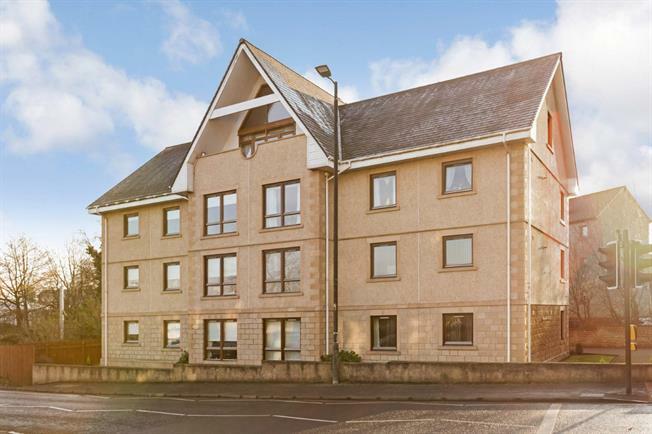 3 Bedroom Flat For Sale in Hamilton for Offers Over £225,000. Truly spectacular Penthouse flat within a locally admired development which is serviced by a lift. This flat is one of only seven apartments within the building and is formed over the entire top floor to offer unsurpassed accommodation sure to delight all who view. The lift leads to a grand reception hall in turn leading to a fabulous living room with double height ceiling and balcony with stunning panoramic views. The remaining accommodation includes a vast dining kitchen, three generously sized bedrooms(two with en-suite facilities) and additional bathroom. The high specification finish includes double glazing, gas central heating and security entry system. The development benefits from well cared for communal grounds including residents car parking with this flat enjoying private garaging. This especially central position ensures easy access to a wide variety of local facilities including town centre shopping, train station and the adjacent Country Park and David Lloyd Gym. Internal viewing is essential to appreciate fully.